Kajraare - 2 tracks of SG !! Now SHREYA DI worked under the direction of HIMESH RESHMMIYA for the music of the film KAJRAARE directed by Pooja Bhatt and produced by Bhushan Kumar and Kishan Kumar. Lyricist - Sameer. There are 7 tracks with 4 remixes , so in total 11 tracks released today i.e on 31st may,2010. Out of the 7 tracks ,except the remixes , our melody queen sang 2 track with HIMESH sir as his duet partner. The first track is named as " Tujhe dekh ke aarmaan jaage ". This track is sung by our melody queen "SHREYA GHOSHAL" and Himesh sir. SHREYA DI has worked with Himesh sir many times. She worked with him in RADIO recently before Kajraare. This track has got a folk touch. It starts slow, Himesh sir starts it with "o dholna" on the 5th sec. From the 59th sec to 1 min 13 sec we enjoy a nice piece of music continuing with some regular beats, awesome. The song continues with the same piece of music playing in the background ,with Himesh sir's voice , now the pace of the song increased a bit than before. Again after a small piece of music our melody queen starts singing with " Baas me nahi hai yara " on 2.30th min. Ahh i love her singing , was again slow , soft and pleasing , this continues up to 2.54th min. On 2.55th min again Himesh sir continues singing. On 4.10th min SHREYA DI again starts up to 4.35th min. And the whole song ends within 5 min and 36 sec. SHREYA DI got very less chance to sing , maximum parts are sung by male singer. Moving on to the other track, its "Teriyan Meriyan" which is sung by SHREYA DI and Himesh sir. The song starts with a piece of music played on individual instruments , 2 instruments were used here with slight humming by SHREYA DI (teriyan meriyan) . Then the track was continued with slight tabla beats. On 1.12th min Himesh sir started singing. This song has also got a slow start, with same theme. Song moves on very slow yet its pleasing with awesome music. SHREYA DI got her chance very late on 3.25th min, she started with "Guud se mithi" with her soft ,sweet marvelous voice. She continued upto 3.36th min, ah really very short. On 4.40th min our melody again starts with "rab se". Himesh sir ends the song with in 5.30th min. Overall i found it a bit weak composition, i am not a composer or any way related to music, but i love music. So what i feel that composition could be even more better. Himesh sir is a very good composer but this time it wasnt so good and appreciable. Hopefully Our melody queen "SHREYA GHOSHAL" did all correct. She was as usual awesome, superb singing! Awesome singing by male singer too. People started pouring in Bangabandhu International conference center, Dhaka before 5 pm on may 27. Both floors of the hall of fame were getting packed. Dhakaiites were eagerly waiting for the bollywood nightingale to take the stage. There was added enthusiasm however, this particular "Bollywood Sensation" in Bengali. As minutes turned into hour, the stage needed to be engaged. Kuntal Banerjee, an upcoming singer from Kolkatta,was the opening act. Kuntal is a capable vocalis, no doubt, and he belted out a decent cover of Kailash kher's sufi hit "Teri Dewaani" but unfortunately for him, it was a tough audience who were there for the main course and were not really appeased by the appetizer. As he tried to work the audience , the singer rendered a Rabindra sangeet, "Ami chini go chini tomarey" , a Kishore Kumar classic "Neele Neele Ambar" and Bappi lahiri hit du jour, "chirodin i i tumi je amaar". Around 7.30 pm, the wait was over. Four IIFA awards winner, multilingual bengali singer SHREYA GHOSHAL took the stage and like butter the full house seemingly melted under her charm. SHREYA DI begun with a rendition of the song that gave her the seminal big break in the mumbai based film industry , "Silsila ye chaahat ka" from the film "Devdas" . The songstress's rise to the fame has not exactly has not been a Cinderella story but more of the steady recognition of her talent. As a child she won the children's special episode of the talent hunt "sa re ga ma pa" on Zee TV . Renowned musician Kalyanji who judged the competition , convinced Shreya's parents to move to Mumbai. She caught the attention of the filmmaker Sanjay leela bhanshali , when she particip[ated in sa re ga ma pa the second time. In 2000 he offerd her opportunity to lent her voice to paro, the female of the film DEVDAS. The sound tracks earned her a film fare award (her first) for best film playback singer. She also won her first National film award for the song "bairi piya" frm DEVDAS. She has done playback for over 140 films and worked with all major indian music directors, includin llayaraja,A R Rahman,Anu Malik , Himesh, M M Keeravani,Shankar_Ehaasan_Loy and Pritam. Becides hindi and her mother tongue Bangla , Shreya sings in Kannada,malayalam,marathi, punjabi, Tamil and Telugu. What sets Shreya apart from her contemporaries is perhaps the same quality that distinguishes iconic singer ---> LATA MANGESKAR -- an innate ability to channel a sort of inner purity. and turn up the heat when necessary with equal ease. For the sound tracks of "Delhi-6" A R Rahman superimposed the original rendition of Raga Gujaritodi by the legendary Ustad Bade Ghulam Ali Khan with the vocals of Shreya.There must be a reason why Rehman chose SHREYA. The late Ustad is undoubtedly a maestro, last heard in an indian film almost half a century back"Mughal-e-asam". But whats astounding is how Shreya keeps up with the legend with a kind of poise that can only come from a solid background of classical Music. 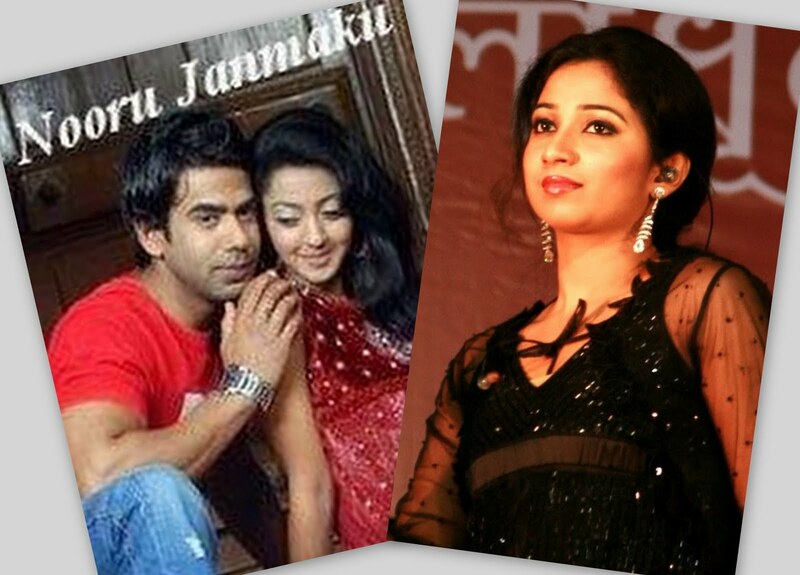 Shreya's repertoire at the Dhaka concert included her recent and not so recent popular songs from the films. With "chalo tumko lekar chale" from JISM. She invited the audience to set out on a musical journey. With "wada raha pyar se" from KHAKEE , she professed her love for her fans. The diva continued to segue from 1 hit to another. "agar tum mil jao" , "jadoo hai nasha hai" ,"tujh me rab dikhta hai" . "teri ore" , "shukhraan allah" and more. The rabindra sangeet inspired "piya bole" from PARINEETA was greeted with rounds of applause and cheer. But what brought the house down was a spirited rendition of "ami je tomar" . "spirited" because it was as if the crooner was invoking the much feared spirit, manjulika , from the film "BHOOL BHULAIYA" . Haunting indeed. In between, the audience sang along with the artiste and Shreya had this to say about the Dhaka music enthusiasts at the show. " Not one of you is out of tune"!incredible"
10th rply by SHREYA DI!! Today again i got another reply from SHREYA DI , this reply shows and justifies HOW SWEET SHREYA DI is , i had some problem which i told her , and just after her CONCERT at DHAKA got over she replied . SHREYA DI is the sweetest person in this WHOLE WORLD ! She replied as " shreyaghoshal@Abhishek_4SG wat happened? " She is soo GOOD, being a big celeb she asked me this question. This shows her simplicity, how simple she is. YES she is SUPER HUMAN. She always cares for her fans, too quoted that her fans rock! All these make her a GOOD HUMAN BEING ! She quoted the above line on 27th may, 2010 at 10.35pm. THANK YOU VERY MUCH DIDI for your concern! Wont forget this ever! 9th rply by SHREYA DI !! Again i got a reply by SHREYA DIDI. i got this reply on 27th may,2010 at 12.58 pm. She replied as " shreyaghoshal Aree I was seconding their thot dat my fans rock! 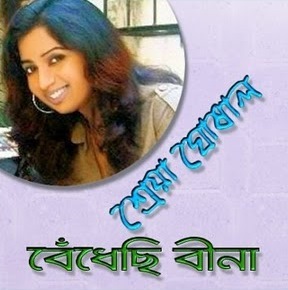 RT @Abhishek_4SG : @shreyaghoshal didi! : y r u supporting TEAMSHREYAG.wat dey did special? " Thanx DIDI for replying me ! YES all your fans ROCK! Again SHREYA DI got a chance to show her magical abilities through music and her ultimate talent. She now sang a song " BAHARA" in the movie " i hate love storys" . The music is directed my the magnificent duo " Vishal- Shekhar". Lyricists - Kumaar. Bahara is the next song of the ALBUM . The song came out as a surprise as SONA MAHAPATRA was not expected in Vishal-Shekhar Album. I wonder if she has ever worked with this duo. Well, Sona is not the only singer, infact she is more in the background while the song is sung by SHREYA DI. A medium-fast-paced song with a touch of folk. Definitely a good one again. HATS OFF! We too have a CHILL VERSION of "Bahara" sung by Rahat fateh Ali Khan. Lets compare both the versions of BAHARA. In the chill version , the music starts very slow with some beats and soon the song starts. This is lil slow than that which is sung by SHREYA DI. I found better throw of voice by our melody queen than Rahat sir. This chill version ends within 4 min and 6 sec but the BAHAR by SHREYA DI continues up to 5 min n 25 sec. So we have a lil difference between these 2 songs . Zindegi har ek pal se chhahe haye jiska dil hua. With four national awards in her wallet in such a tender age and that too happened in short time span ,SHREYA GHOSHAL has proved that she is the best singer of India. SHREYA GHOSHAL is just beginning, an era of her own. What she is now in bollywood is nothing different from waht Lata Mangeskar ji has been there. The only difference is , SHREYA is just 26, a tender age, when talking about eras and legends. SHREYA now fills the media breaks as the national award winner of the year 2009.It is for the fourth time she has been recognized by the nation as the best playback singer.How can it be not possible for a girl who sang to indians for the first time through her lips of the one and only Aishwariya rai, and that too , through an epic hindi movie like "DEVDAS" . SHREYA's infancy was with her mom's Harmonium and her childhood also was laced with limelight of Zee TV, in the kids' episod of "sa re ga ma pa' . She not only own the fist prize but the great judge , Kalayan ji 's heart also. There after Kalayan ji , too her off to the realm of music , replanted the bengal born, Rajasthani brought up girl in Mumbai, the whimsical world of hindi music . Trained under Kalayan ji and thereafter under Mukhta Bidhe both in Hindustani and Carnatic with equal aplomb, a prodigy was growing beyond the skyline of bollywood. Later in 2000, in the same Zee TV , in the same sa re ga ma pa platform , SHREYA again appeared , but this time not as old shy kid but as adult singer , matured and confident. That paved her way to hindi film music , and to the amazement to the whole hindi speaking world , she bagged the national award for the very first song "bairi piya" . She has never looked back since. Today, there would be rarely hindi movie or hindi MP3 song album without the tintinnabulations of this lovely girl. With four national awards with in a short span seven years, she is always the number one choice of hindi lyricists and hindi music composers. Her growth as an acclaimed playback singer along with the vetrans like Alka Yagnik, Sunidhi Chauhan, Kavitha krishnamurthy and Saadhna Sargam was apace. In and around the country she scored mammoth gathering of her fans whose snake queues amazed the world. 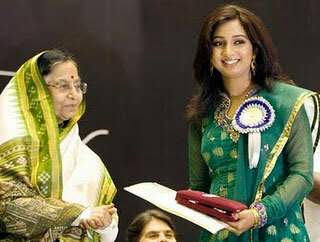 SHREYA GHOSHAL walked away with her 2nd national award for the song "kanagna se" from the movie paheli , released in 2005. She was the 1st choice when it comes to soft and slow tracks. But she took one step ahead when she proved equally at home in fast numbers like "ye isqh hai" from the movie "jab we met" which brought her the national award for the 3rd time. Take her two songs by the OSCAR winner A.R.RAHMAN - "latoo" from "gajini" and "bhor bhaye" from "Delhi 6" . Both the movies were released with in a short span of one and a half month and both the songs are of two extreme genres . While bhor bhaye drags on hte classical track, latoo is a mind blowing fast number. Figure out the versatile SHREYA GHOSHAL. Versatility does not end here. Give your ears to any song she did in any other regional language. you will be astonished to hear the accent and intonation she renders to every word with the air innate only to a native. This was how our melody queen "SHREYA GHOSHAL" started her journey in music industry. She faced many problems ,hardships and miseries, and will true and hard will power she fought for victory. Her Family supported her a lot, specially her mother " Mrs. Sharmistha ". She herself is a singer and help SHREYA DI a lot with her music carrier. Her father " Mr. Biswajeet Ghoshal" too supported her a lot. So it was all because of her hard work , dedication and family support. Now she is shining like a star , she is the brightest star in the hindi music industry. I love her a lot, and i am her biggest die hard fan. This was an article which i got from the internet, thought of posting it. Only the last para i wrote myself rest i copied. HOPE you like it. Hey got my 8th reply from Melody Queen "SHREYA GHOSHAL" . She replied as " shreyaghoshal All izz well! :) But thnks fot letting me know tht u r thr ;) RT @Abhishek_4SG:shreyaghoshal didi anybdy MESSING wid u now?? TELL US!! ;) "
This was my 2nd RT and 8th rply..!! Hey again SHREYA DI is back to her mother land, BENGAL. She now sang a song with Shaan and Shabab hussain in the movie Ley Chakka . Its a bengali track named as "Ali maula" . This track is directed by Indraadip Dasgupta. Lyricist - Prasenjit Mukherjee, Priyo chottopadhyay, Srijit Mukherjee. This track starts directly with Shabab Hussain's voice, rendering "Ya Ali" 4 times with some variations in scale in each one of them. This four YA ALI continues up to 26 sec. From 25th sec to 30th sec harmonium plays,for only 5 sec. From 29th sec to 37th sec the singer renders the SARGAM , i guess 2 times,it was "ni ni ni sa sa sa, ni ni ni sa sa sa ni dha re ma ga re" . On the 38th sec again the same singer starts with "Ali Maula" up to 1min n 6 sec. On 1 min n 7 sec Shaan started singing, started slowly with slow tune , caught some high notes too. On 1 min n 43 sec, our melody queen started singing with "eemon jonno kothaye", this was a little fast.Lovely music. The track ended with fusion of "ali maula maula" and the sargam with in 6 min n 5 sec. Awesome conposition and singing. Hatsoff to SHREYA DI for singing this song so beautifully. Thank you didi for such a fabulous song. All the songs which you sing , i accept them as GIFTS by you. Hey i got my 7th reply frm SHREYA DI. It was been a long time for me and some other fans for getting a reply. SHREYA DI was even not updating anything, we felt that she is upset or angry with us, today when she came online, we begged for some smiles and told her to be happy always. I tweeted many thing, too begged for a SMILE. Our melody queen replied me on 21th May,10 at 12.52 pm as "shreyaghoshal@Abhishek_4SG thank u:)"
Thank you SHREYA DI !!! Please download the song by clicking the song name, just written above this line. If you don't download , then please hear it once. HATS OFF! SHREYA DI AGAIN DID A FABULOUS JOB! Hmmmmm!! SHREYA DI's debut in bengali which is her mother tongue , in the album "Bedhechi Bina". In this SHREYA DI sang 7 songs. All the songs are amazing. This album is a remake of the old songs sung by LATA JI and ASHA JI. So it is not possible for me to review all the tracks. I guess my reviewing style is not too good. :( Still i try my level best . Now i have decided to review the title track. Again a start with amazing music and then on the 21th sec SHREYA DI starts with "aa aaaaaaaaaaaaaaaa " , which continues up to 35 sec. After a short span music, on the 39th sec SHREYA DI starts again with "Bedhechi bina". This track tastes like classical. Yes, classical involved in this. Bangla is SHREYA DI's mother tongue. Its a very sweet and lovely language. As sweet as these songs. All the songs have classical base, i guess. Loved all the tracks. Amazing. TO DOWNLOAD THE TRACKS JUST CLICK ON THEIR TITLES WRITTEN ABOVE and enjoy! Our melody queen's debut in Tamil, in the year 2002, in "ALBUM". 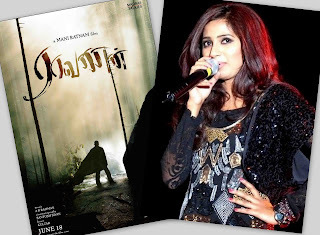 In ALBUM , SHREYA DI sang only one song and continued her career in TAMIL music industry. There are huge huge fans of SHREYA GHOSHAL from the southern INDIA. SHREYA DI sang the track " Chellamai chellam" along with Hariharan as his duet partner, composed by Karthik Raja. Lyricist - Mutthukumar N.
This song too starts directly with SHREYA DI's voice which continues upto 14 sec and after that the male singer starts singing. On 1.10th min again SHREYA DI continues with " laa laaa laalaa". Music by Karthik is superb. Its sounds lil bit inspiring , inspirational song. I dont understand the meaning, just made some assumptions.Sorry if its wrong. I too loved that line "tell me now, tell me now...tell me tell me tell me now" , these lines were so innocent and sweet. I dont hav any idea on the theme of this music, still it sounds great. I hope you all will love this track.Hats off!! SHREYA DI rocks! Our melody queen's debut in kannada, in the movie "Paris Pranaya". There are 6 tracks in this movie and our melody queen got the chance to sing two out of those 6 tracks. These tracks are composed by Prayog . Lyricist - Nagatihalli chandra shekar. The 1st track is "Krishna nee begane baro" running for 5 mins and 1 sec.This track is based on OLD type of music , old touch. Still fantastic track to enjoy.I guess this track is based on preyers to GOD!! The 2nd track is a duet by Sonu Nigam sir and SHREYA DI - "Rome rome". Beautiful composition of 4 min and 57 sec. Starts with extremely attracting music. SHREYA DI starts singing on the 44th sec with "rome rome".It has some extreme CLAPPING effects in between. This track contains some western lyrics too. It has very funny lyrics. The song moves very fast with good pace. Loved this track very much. Just click on the music file to download. Our melody queen "SHREYA GHOSHAL's" debut in Telugu, in this movie - "OKKADU" and it has 2 tracks sung by SHREYA DI. 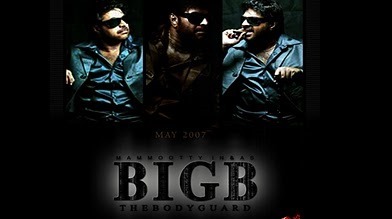 The songs were composed by Mani Sharma. Lyricist - Siri Vennela Sitarame Sastry. Lets talk about the 1st track which is "Nuvvemaya chesavokaani" . This track starts with amazing music of " chirping of birds" ,sounds very lovely. Its music is something different. On the 26th sec SHREYA DI started with "Nuvvemaya chesavokaani". This track ends with the same music ,as in the MUKHADA. Ends within 4 min and 2 sec. We can enjoy the music and the sweetness of SHREYA DI's voice. Moving on to the next track which is "Attarintiki". This track is sung by SHREYA DI and Hariharan. This track is little long, it continues up to 5 mins and 58 sec. Again fantastic singing in this. Just dont know how to describe . All the tracks sung by SHREYA GHOSHAL are super super super fantastic. Our melody queen did her debut in malayalam in a film "BIG B". The track is "Vida Parayunkayaano". The track is composed by Alphonse Joseph and the lyricist was Santhosh Varma. Lets move on and lets talk about the composition and singing. The song starts with beautiful tune, sumone singing or i can say humming , with slight music in the backgroung. On the 29th sec SHREYA DI starts with "Vida Parayunkayaano" . This track too, very slow and soft. In this track our melody queen's voice is slightly echoing. We cant judge the amount of feel in singing, tremendous feel. wah! This track ends within 4 min and 43 sec. Hats off! SHREYA DI did such a wonderful job.Wonderful singing and melodious composition. Now lets move forward and lets head towards Punjab. SHREYA DI's debut in Punjabi music, with a film "Sajna ve Sajna". In this movie our melody queen sang two songs. First one is "Gori gori kudi" which is a very popular punjabi track and the next is "Yaar di zulf udoundi" . 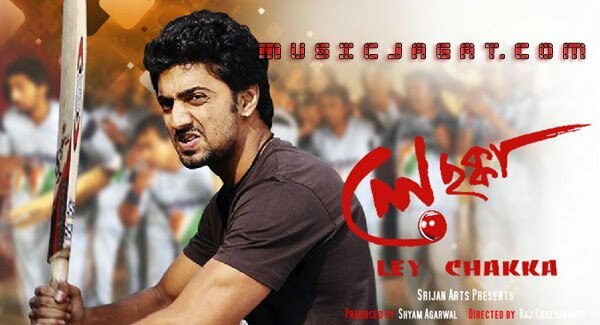 These tracks were directed by Bally Sagoo .Dev Kholi andJelly manjitpuri also played a very important role by providing the lyrics. Lets talk about the first track "gori gori kudi". This starts directly with the voice of our melody queen with "Suun balliee je kar". SHREYA DI sang the whole line without music , music started playing on the 12th sec. This is a full masti track, enjoyable. Awesome composition and singing.Again this time too melody queen was full in comfort while singing, the song runs and ends with in 4 mins and 37 sec. There is really no loss in sparing 5 mins for this song, even if you don't understand punjabi. Lets jump on the next track which is sung by Udit Narayan and SHREYA DI. Again awesome music. This track moves on with lil slow music. Our melody queen gets her chance to sing on 3.20th min, a long time after Udit sir! This track ends within 5 mins and 17 sec. 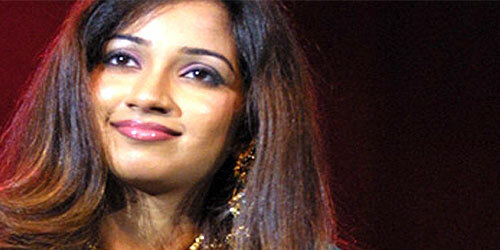 SHREYA GHOSHAL's debut in Marathi music was with the Album "Masti saradiya raat". In this SHREYA DI sang 2 songs and the whole album has around 7 tracks. Our melody queen started her carrier in Marathi music industry with these two tracks , named as " Manat majhya vanpachuche" and "Mendi bharlaya pauli". She worked under the direction of Abhijeet Rane and Late Dr Vasant Krishna Warhadpande worked as lyricist in this Album. Let us now discuss about the track "Manat majhya vanpachuche". This is a power pack composition of 5 min and 29 sec. It is very sweet as usual. This is called devine singing. SHREYA DI just sang it with full ease. Again i wonder ,how she is so comfortable with the lyrics, its Marathi lyrics. This is flawless singing . The song starts with lovely music up to 19 sec and on the 20th sec SHREYA DI starts with "Manat majhya". Very lovely . Lets move on to the next track which is "Mendi Bhaarlaya pauli" , very soft composition running 4 mins and 29 sec. SHREYA DI starts with "Mendi Bharlaya pauli" on the 24th sec. This track has very cute and sweet lyrics. I loved the sweetness of the line "mendi Bharlaya pauli" very much. This time i have decided to provide all the informations about our melody queen n her DEBUTS !! 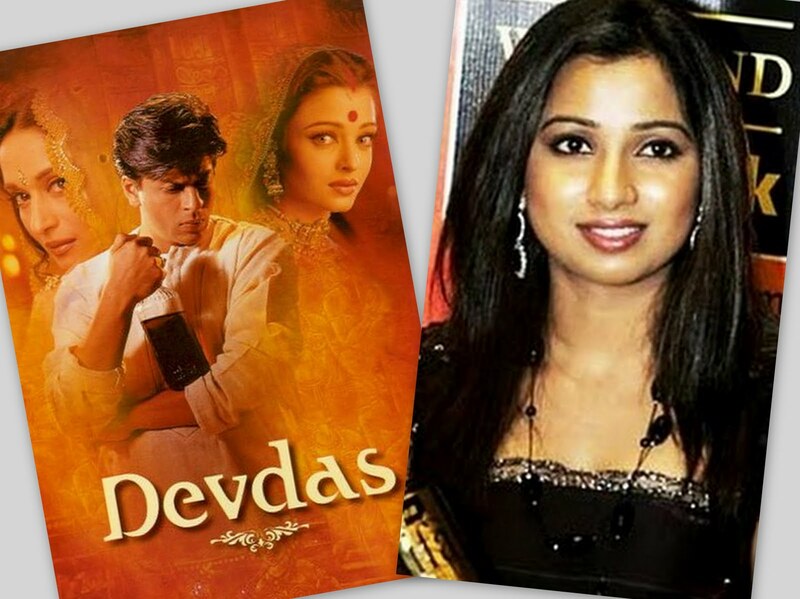 SHREYA DI's debut in hindi music industry was with the film DEVDAS. 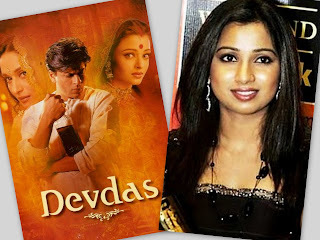 This was really a turning point in her career.SHREYA DI , while singing caught the attention of famous director Sanjaya Leela Banshali and got a chance to work with Ismail Darbar who composed all the songs in DEVDAS. In this movie there are 8 songs in total, and our melody queen being the luckiest sang 5 songs out of 8!! 1st track - Bairi piya - sung by SHREYA DI and Udit Narayan. 2nd track - Chalak Chalak - sung by SHREYA DI,Udit Narayan and Vinod Rathod. 3rd track- Dola re dola - sung by SHREYA DI and Kavitha Krishnamurthy -This song won many awards! 4th track- Silsila ye chahat ka - sung by SHREYA DI. 5th track- Morey piya - sung by SHREYA GHOSHAL and jaspinder Narula. I am going to review only the track "Bairi piya" as it was the 1st song of our melody queen's carrier in HINDI music industry. Hmmmm, Bairi piya is my favourite song , from this movie. It is a super soft and delicate composition of 5min and 22sec by Ismail Daebar sir. In this track SHREYA DI worked with Udit Narayan sir as his duet partner. This song starts with "isshhhhhhhhhhhhh" by our melody queen with a short span music before it. On the 26th second SHREYA DI starts with " bairi piya". This was her 1st song , instead she was singing like professionals , wah! :) In this song we can feel the sweetness of her voice . I love the rendering of the word "isshhhhhhhh" the most :):) , it was sooo cute. The song ends with a long span music play. Again i don't wanna speak much on this. This time got another reply from melody queen "SHREYA GHOSHAL" on 13.05.2010 at 2.58am (exact). SHREYA DI replied as "shreyaghoshal Awww:)sweet. RT @Abhishek_4SG:@shreyaghoshal if u tell me to choose btw ur rply n sleep...dn wll choose ur RPLY!! hehe"
This was a RT by SHREYA DI. SHREYA DI , i want to thank you again. Please keep on replying like this to all your fans. From reality show to playback stardom !! This whole article is by Shankaran Malini from Express news service! so guys this is not my creativity , still you gonna get good information about our melody queen "SHREYA GHOSHAL" , This article is based on her latest interview. And hope you all will like this. Shreya ghoshal is all excited about "raavan" and talks to Shankaram Malini about music industry, her inspirations and the things that she likes. I spent about 13 years of my life at Rawatbhatta, a small village near Kota,Rajasthan It was a township, which was cutt off from the urban city life. I used to travel 10KM up and down to Kota to lean music. I learnt classical hindustani there. I didnt get the opportunity to learn Carnatic music, then "sa re ga ma" gave me a lot of exposure . But my first big break was singing in "DEVDAS". My mom is a house wife and my dad is an engineer. We bengalis simply love music. My mother has been my musical inspiration and even today i look up for her opinion - be it a criticism or appreciation. I need her guidance forever. But my dad silently appreciates me and what ever i am today is because og f him. Reality shows - then and now? When i won "sa re ga ma", the platform didnt actually become a reality show . It wasnt that big or commercial. There wasnt an audience reaction like today. TV itself was not that big those days. Judges in such shows used to be big names from classical music such as Zakir Hussain ,Girija Devi and the like. But now the format change a lot , people from all over the world watch these shows , therefore the reach is bigger. Audiences make heroes out of their singers , i believe the scope of classical music is still exists, which i realized whem i was doing " music ka maha muqabla "
It is yet another platform which is commercially beneficiary to audiences. I feel its a good move. And as we live in a fast paced world, innovation is the key to success . There was a time when audio cassettes were popular and then audio CDs took over. But now it is the age of internet downloads and mobile downloads. I havent done a remix song as yet although some songs of mine have been remixed. Honestly i liked the original versions better. I'm okay with doing a remix as long as it enhances the song . I feel the music enthusiasts do a fantastic job with remixes. Is the music Industry's still a man's world? I would not completely agree with it. It's a phase . Currently, it is sufi music that is the trend and that is the male dominated area. But things will not be same for ever. All that i can say is i pay close attention to the music director and lyricist when the concept and situation of the song is being explained. I write down the lyrics in Devanagri marking all the places with required accents. I try my best to sing it as perfectly as possible . But there have been occasions when i have made mistakes and i read the reviews on internet. I only try to improve myself. My next in Tamil will be "Endhiran" and "i hate luv stories" in Hindi . My role model has always been Lataji . Music Director you want to work with?? Harris Jayaraj. I have sung for "Anniyan", one of his projects. It so happened that whenever a possibility of project would come up with him , it would not materialise owning to some reason or the other. Would love to playback for? Waheeda Rehman. How i wish i could sing for those B/W movies of hers. For me he has always been iconic and always full of surprises. It was for "Enakku 20 Unaaku 18" when i sang "Azhagiya Askava". That was my foray in Tamil. After that, it was only for "Sillunu Oru Kadhal" that i sang "Munbe vaa" , which went on to become a hit. Following that "Vinnaithadi Varuvaya" and now "Raavan". He never repeats genres in his works and is the only music director whome i have seen working late till nights. I have enjoyed working with him. I admire his patience. Thanks to him, i have experimented with so many genres. I am in awe of the music, the singers and music directors of the city. That apart, whenever i am here , i visit Saravana Bhavan and eat idlis and chutneys from Murugan idli kadai. I love the Chettinadu cuisine here. Cant live without : My phone, just switiched loyalties with Blackberry. Most prized possession : Its an old Harmonium that i first used when i started to learn music. Style statement: A pair of jeans and white shirt. Fitness mantra: Treadmill and Cardio. Love to dig into: Thai cuisines , followed by bengali cuisines and Kongunadu. What are you humming at the moment: "jo dil me khusi" , a Lata and hemant kumar composition - my all time favourite. Favourite book: Jhumpa Lahiri's The name sake and the unaccustomed Earth. Unforgettable lesson at school: It used to be the little quarrels during my school days. I was both the noise maker and the newsmaker. Your biggest fear: Music should never become a burden. Favourite singers: P Susheela and S Janaki. Lyricists: Gen X lyricists are doing a great job. If not a playback singer : I'd have become a scientist . Hey guys....i am so happy today, got one more reply from out melody queen "SHREYA GHOSHAL" .After performing at Vijayawada she went to catch her flight for Mumbai. Awww!! unfortunately her flight got delayed, but i was fortunate enough that this made me to get her reply for the 5th time!! :):) THANK YOU pilot ji. :):). So she just started with "Read all d newspapers , all d magazines.. Updated with all d gossips ..Done! Now what.. So much time to kill. I nevr carry an ipod ,i shud.." OMG!! with this i again started tweeting! Another update came ,saying " Need a victim!! " .Awwww i replied her that " i wanna b ur victim" n lots more .
. For this tweet of mine to SHREYA DI "i wanna b ur victim" got a reply from her as "shreyaghoshal@Abhishek_4SG saamne aao! ", got dis reply today i.e 10th may,2010 at 6.31pm.
. Just before her last tweet she updates " Finally boarded!! Yayyyyyyyyyyyyyy:) and thank u all my victims for bearing me n my tantrums for the last few hrs ;) God bless u ..)"
Oh i hope that she replied me for my tweet of being her victim! THANX SHREYA DI again!! Keep on replying all your fans along with me!! Again i am back with some new posts, Now i am goin to post about the track "Na Naguva Modalene" from the movie "Manasaare". This is a Kannada film. There are 2 tracks of SHREYA DI in the movie. 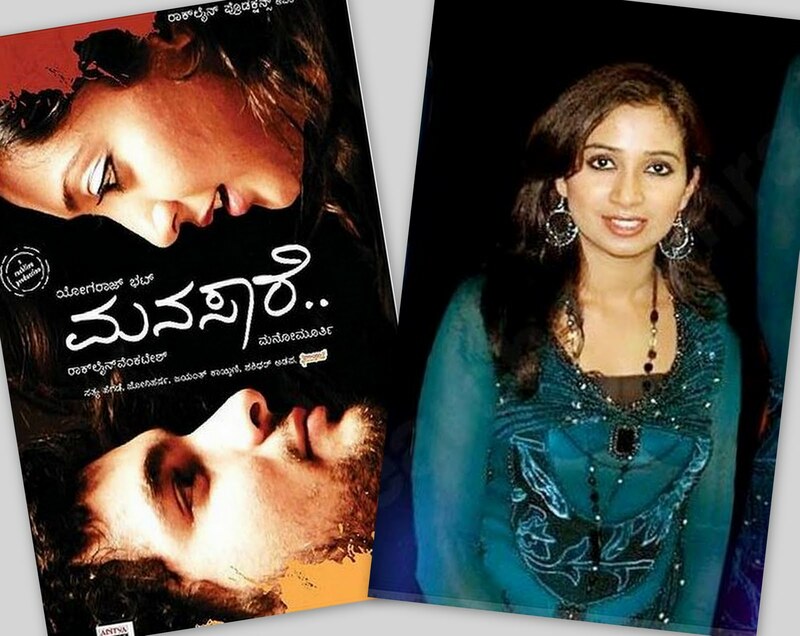 Na naguva modalene is the best one , as due to this SHREYA DI won Suvarna film awards 2010. This track is sung by our melody queen "SHREYA GHOSHAL" under the direction of the famous music director "Mano murthy". I always love this combo of SG and Mano Murthy. Again awesome composition and direction by Murthy sir which created magic with in 4 mins and 33 sec.And the lyricist Yograj Bhat's contribution should also be entertained. He too did his work with full perfection. In this track SHREYA DI added much FEEL. She starts singing on the 36th sec with "Na naguva modalene" and ends up with "Ondu baari helu mellage, yaaru yaaru nee nanage" at 4.27th min Awesome kannada track. One of the most awaited and prestigious award event for the Kannada film industry.The winners are selected by Suvarna film award JURY and PUBLIC through voting. This award ceremony was held in Bangalore. Our melody queen "SHREYA GHOSHAL" won the Suvarna Kannada Film Award 2010 for the track "Na Naguva Modalene" from the movie "Manasaare" . She got elected as the best playback singer- female through public voting.She got the popular choice award. The jury members selected "Dr Shamitha Malnad" for "Birugaali" as the best playback singer !! But i think SHREYA DI deserves this award more than Dr Shamitha Malnad. Hope you get more and more awards !! I am praying , that you get IIFA awards this time for "ZOOBI DOOBI". CONGRATS DI for this award you won and ALL THE BEST !! Hey guys now i am posting about the track "Zoobi Doobi" from 3 idiots. 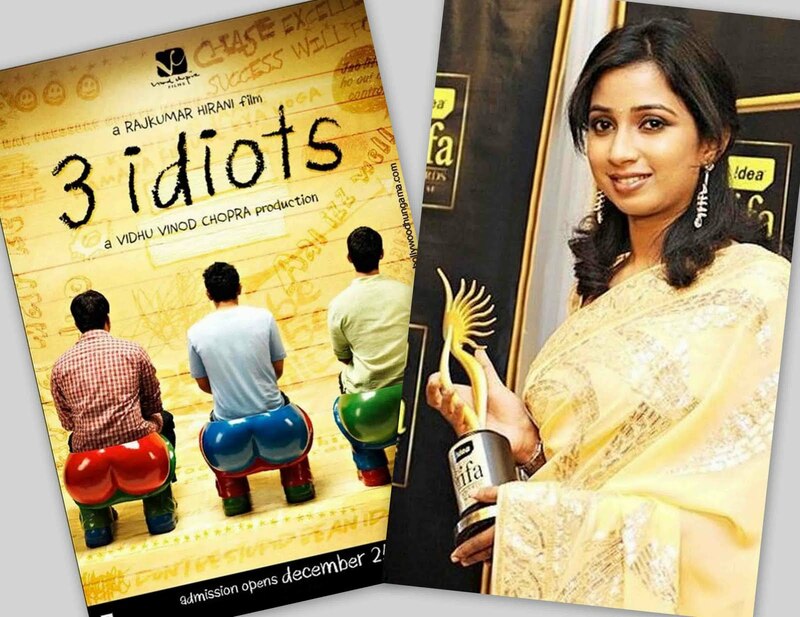 Due to this song our melody queen "SHREYA GHOSHAL" got nominated for the best playback singer - FEMALE in IIFA 2010. Hats off to the Music Director, Lyricist, Sonu sir and ofcourse SHREYA DI for giving their best.Now lets talk about the track!! Thank you SHREYA DI for this track and CONGRATS as you have been nominated for this TRACK in IIFA 2010. Hope you grab another award this time and make us feel more proud ! ALL THE BEST DIDI !! IIFA 2010 nominations announced !! Hey friends all the nominations for the iifa awards 2010 have been announced.This 11th iifa celebrations will be held in SRILANKA from june 3rd to june 5th ,2010 at Sughathadasa stadium in Colombo. ALL THE BEST SHREYA DI!! HOPE YOU WIN THIS TIME TOO !! The Tamil version of Ravan's audio was launched by Sony music. In this A R RAHMAN picked our melody queen "SHREYA GHOSHAL" for a track named as "KALVARE" same as "khilli re" by Reena Bhardwaj in Ravan's Hindi version. Our melody queen is very lucky as she worked under the direction of OSCAR WINNER "A R RAHMAN" for this track. The lyrics by Vairamuthu is also awesome. So, we gonna experience a dynamic combination of SHREYA GHOSHAL-A R RAHMAN- MANI RATNAM. This is surely going to rock! so lets talk about the track. Baas this much!! As you all know i dont have much idea on music. Though, its very difficult to comment on any creation by ARR-SG combo. SHREYA DI is life of India Music industry. Both the composer and the singer did a fantastic job. Hey another Kannada song by our melody queen. She worked with Sonu Nigam as his duet partner in this track named as "Mella mella ee preethi". This track is composed by " K V Ravichandra". This track runs for 4 mins and 13 sec. It starts with some extremely attracting music. 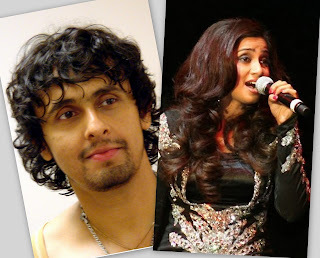 Sonu Nigam starts singing on 29th sec. Our Melody queen starts with "hooo mella mella ee preethi allawa" on the 35th sec. She throws her voice beautifully and in such a way that it enters directly in to our hearts. Her songs are rhythms that strikes every chord of our tender hearts. This track is very very soft and slow. Very beautifully sung by both the singers. Hats off!! Music by Ravichandra is also awesome. The song moves on with same pace till the end. SHREYA DI ends the song with "moda moda la digili di" oh so sweet and too cute..
Hey guys our Melody queen - SHREYA GHOSHAL now worked in a kannada movie "NOORU JANMAKU" and has only 1 track in this movie. The track is named as "Gelluba gelluba" and composed by "Mano Murthy". The lyricist Nagathihalli Chandrashekar also helped in enhancing the beauty of the song with his sweet sweet TALLAFUZ (words) :):) !! Now lets talk about the track and its composition!! This track runs for 4 mins and 34 sec.The track starts with awesome music with drum beats up to 9sec. Our melody queen starts singing on the 29th sec with " Gelluba gelluba". I love the way she sings "gelluba gelluba" a lot all through the track. She renders this line 8 times in the whole song.This is a full masti track with awesome Mano Murthy and SHREYA GHOSHAL combination. The music is mind blowing and fantastic. When SHREYA DI starts singing i feel as if some magic is goin on, i too feel as if i am in HEAVEN!! :) She always do some miracle with her magical voice. She is melody queen. So this was a small description or review of her track.SHREYA DI made this track to sound even more beautiful with her heart touching voice!! She made us feel proud again!! Hope you all enjoy the track! !